The Great Taste awards celebrates the very best in food and drink. 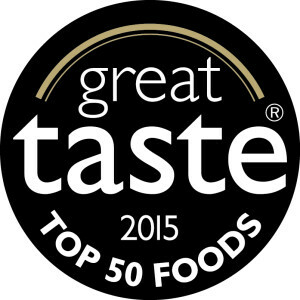 This year the Great Taste Golden Fork award for the best food from Ireland was awarded to James Whelan Butchers from Tipperary for its Beef Dripping, a product that has also been named Great Taste Supreme Champion 2015. 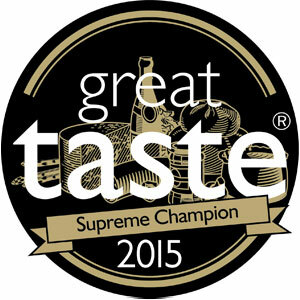 From 10,000 entries into Great Taste 2015, judges awarded the top honour of Great Taste Supreme Champion 2015 to Beef Dripping from James Whelan Butchers of Clonmel in Co. Tipperary. Up against the most exquisite food and drink made by award-winning producers, the Beef Dripping was heralded as champion at the Great Taste Golden Forks Dinner, held on Monday 7th September at The Royal Garden Hotel, Kensington, in front of a gathering of more than 300 guests from the world of fine food. Seeing the upsurge of interest in heritage foods and traditional ingredients, Pat Whelan of James Whelan Butchers was inspired to create his own Beef Dripping. With the very best of beef available to him – and with more than a little guidance from his mother – he soon perfected a product that he was proud to share with his customers. The Beef Dripping is produced in Clonmel by Pat Whelan, a fifth generation butcher, and made from the purest suet from grass fed Irish Angus and Hereford beef, and wrapped simply in white waxed paper. These magical creamy ingots transform roast vegetables, crisp potatoes into delicious roasters and make the most perfectly golden fish and chips. The product stays fresh for up to six months, simply stored in a cool dark place. “It’s the taste of my childhood,” said Pat Whelan. “Our Beef Dripping is nutrient rich, high in omega-3 acids, clean, pure and carries great flavour, whether for frying a steak, roasting potatoes, or spread onto good bread like lardo.” – Just a spoonful of this once forgotten favourite can form part of a balanced diet and impart a rich savoury note into all manner of dishes, from roast potatoes and shortcrust pastry to the effortless indulgence of dripping on toast with a pinch of salt. 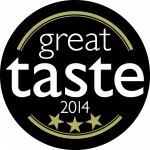 But the beef dripping started it’s Great Taste Journey in 2014 read more….